Edward Deming, born in Iowa in 1900, was a trained physicist with a doctorate from Yale University in 1928. His previous degrees were from the University of Wyoming and the University of Colorado. Dr. Deming has an extensive list of nearly 200 research papers, articles, and books covering a wide range of interrelated subjects—from systems and systems thinking to statistical variance, human psychology, and a variety of topics in the field of physics. Deming was associated as a mathematical physicist at the U.S. Department of Agriculture in 1938 and was responsible for guiding courses like math and statistics at the Graduate School of the USDA. Later in 1938, Deming switched to the Bureau of the Census as an adviser in sampling. His applications of statistical process control to their techniques led to a multi-fold improvement in productivity. In 1942, during his tenure at the Bureau of the Census, Deming was retained to extend his services as a consultant to the Secretary of War and was asked to suggest and present ideas on ways to assist in the war effort. Because of his contribution at the USDA and his statistical expertise, Deming was deputed in Japan in 1946 by the Economic and Scientific Section of the War Department to study agricultural production and related issues in the war-affected country. Dr. Deming’s is considered the architect of Japan’s post-World War II industrial transformation. It is one of the most significant achievements of the 20th century. His reintroduction to America happened in June 1980 after the release of the acclaimed documentary “If Japan Can, Why Can’t We.” He quickly sparked the quality revolution and became the face of quality. He played a major role in the resurgence of the American automobile industry in the late 1980s. 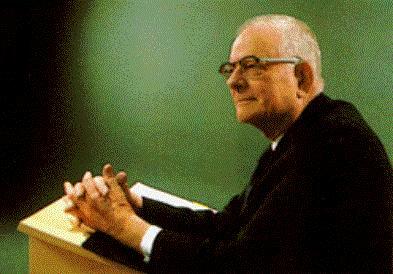 Dr. Deming rendered consultancy to corporations such as Ford, Toyota, Xerox, Ricoh, Sony, and Proctor & Gamble, and revitalized their businesses with the adoption of his management techniques. Deming was perplexed with unpredictability. He opined that all systems have variation, but it is critical for managers to distinguish between common and uncommon causes of variation. He established a theory of variation that attributes special causes of variation to quickly recognizable factors such as procedural changes, shift change etc, and after the elimination of special causes, common causes of variation will still exist and can be recognized easily by the workers. Managers have the authority to alter them in order to prevent their frequent reoccurrence. According to Deming’s estimates, management is responsible for more than 85% of the reasons for variation. This was his focal message to the Japanese which lead to the ultimate transformation of the country post World War. 14 points for management: Deming created 14 points capable of providing a framework for knowledge development in the workplace and which could guide long-term business goals and plans. The points are a philosophical code for management. Dr. Deming’s 14 Points, originally presented in ‘Out of the Crisis,’ cultivate a fertile soil where a more efficient workplace, higher profits, and enhanced productivity can grow. Seven deadly diseases of management: As given by Deming, the main barriers faced by management in order to improve effectiveness and to ensure continuous improvement are the lack of consistency of purpose to plan products and services, an over-emphasis on short-term profits and thinking, performance evaluation and annual reviews, mobility of managers and job hopping, as well as management with the use only of available data and high medical costs. Effective management and a commitment to quality are needed to combat these seven deadly diseases. PDCA Cycle: Walter Shewhart discovered the concept of the PDCA cycle and introduced it to Deming. Deming promoted it in the 1950s and it came to be known as the Deming Wheel or the Deming Cycle. The PDCA (Plan-Do-Check-Act) cycle has four steps which must be followed in order to get the problem solved. Repetition of these steps will lead to a cycle of continual improvement. Deming has been universally acknowledged as one of the founding fathers of Total Quality Management. He is attributed with the economic miracle of the 1970s and 1980s led by the revolution in Japanese manufacturing management. His philosophy is derived not from the world of management, but from mathematics, and the way he combined it with a human relations approach gives his work a breath of originality and freshness. The post Edward Deming: Contributions to the Theory of Process Improvement appeared first on Shmula.